The year 2017 was a historic period for the science and technology movement not just in the Philippines, but around the world. Amid the continuing neglect of scientific development, expanding privatization of public utilities, attacks on science, and increasingly repressive administration, scientists linked arms with the people to confront these issues together. This year, as we espoused our belief that science, as a tool for societal development, should be used to serve the majority, the Filipino science and technology community have proven that science cannot be separated from politics. 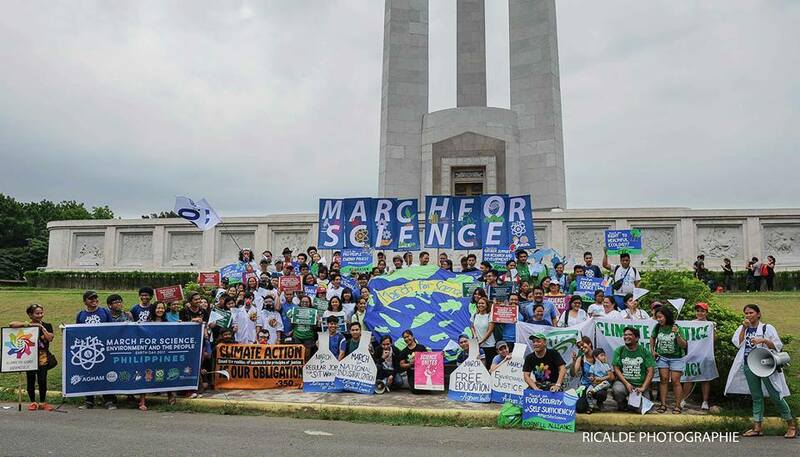 As the U.S.-wide campaign March for Science prompted by President Donald Trump’s anti-science tirades and policies snowballed into an international movement dubbed as the #GlobalScienceMarch, Filipino scientists took the opportunity to project the issues surrounding the country’s science and technology sector. 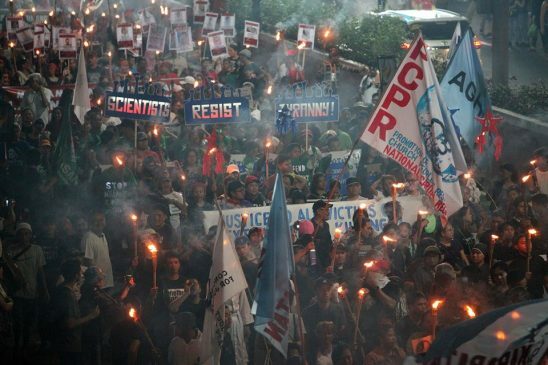 Cognizant of the interrelated and indivisible nature of the three, the March for Science, Environment, and the People culminated on April 22, mobilizing hundreds of scientists, environmentalists, and Filipinos who marched for a pro-environment and pro-people science geared towards genuine development. The action proved that scientists, and the people in general, were deepening their understanding that science was never meant to serve scientists alone. It is always the people who must ultimately benefit from scientific breakthroughs and technological development. Defending science is not enough. We need to mobilize it for the benefit of the people. As President Duterte continues the path of economic liberalization trodden by his predecessors, the privatization of public utilities such as power and transportation were brought into spotlight. Filipino consumers scaled up their actions against the perpetually rising cost of electricity despite its increasingly intermittent service. 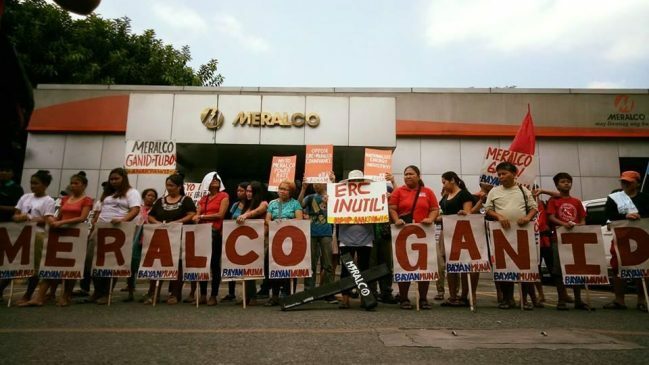 In response to the electricity rate hikes and anomalous power supply agreements which ultimately put them at a disadvantage, they held mobilizations in the distribution and generation offices of Meralco, one of the biggest electric companies in the Philippines, and in the office of the Energy Regulatory Commission, the inutile regulatory body of the power industry. We in the science community also ramped up our support for the jeepney drivers and operators who will be hit the most with the Department of Transportation’s premature PUV Modernization Program. We provided technical knowledge and concrete alternatives to supplement their arguments, joining them in different venues such as in hearings of Congressional and Senate Committees, forums, and media events. Most importantly, we united with them in voicing out their concerns in the streets. When the national minorities embarked on their annual Lakbayan this year, we lead a mass educational discussion among their ranks on the science behind dams, coal, and other energy projects, which are among the pressing concerns they continue to oppose. More than the specific actions, this 2017 we became part of the steering committee of an alliance that will push for Filipino consumers’ concerns – the Samahan at Ugnayan ng mga Konsyumer para sa Ikaaunlad ng Bayan or SUKI ng Bayan. This represents a scaling-up of the people’s fight against the privatization of public utilities, as we gear up our opposition to Duterte’s infrastructure investment program, Build, Build, Build, and his administration’s tax reform program, Tax Reform for Acceleration and Inclusion or TRAIN next year. As the start of 2017, many were enthusiastic and hopeful on the unprecedented developments of the peace negotiations between the Government of the Philippines (GRP) and the National Democratic Front (NDFP). Reciprocal technical working groups on previously untouched aspects of the agreements such as agrarian reform and rural development, environmental protection and rehabilitation, and national industrialization were already holding sessions. For the science community, the peace talks were an avenue to push for the reversal of the backward and stunted state of science and technology in the country and to advance national industrialization geared towards addressing domestic needs. When the peace talks finally collapsed in June, scientists were among the people who genuinely aspired for a just and lasting peace and whose hopes were shattered. Over the next few months, as the President rapidly unfolded his tyrannical character, scientists could no longer become passive spectators while the people were being arbitrarily killed, arrested on trumped-up charges, and attacked by various means. Scientists are not exempt from repression following the Duterte regime’s rising tyranny and fascism: they become vulnerable to these attacks especially when conducting research and field works in the grassroots while providing technical assistance to the people. In response to this, we launched the alliance Scientists and Technologists Say No to Tyranny (SNT²) and we lead scientists as they raised the degree of their advocacy, going out of their laboratories and joining the people’s movement on the ground. As we continuously struggle for democracy, we remember the scientists who have come before us and fought against Marcos dictatorship. We honor them such as the physicist Guillermo “Pons” de Leon who stood up in the midst of repression to make science and technology serve the underprivileged. Their memory serves as a burning fire for young scientists to continue the struggle. The intensifying political situation of 2017 served as boiling water that hardened our advocacy of making science and technology serve the people. We mobilized the biggest number of the community in major actions, while their understanding of the interrelatedness of science to social realities deepened. As the saying goes, science can no longer be separated from politics, and the Filipino scientists, technologists, and engineers have proved this. Lab Notes: critical views and incisive analysis on issues in the Philippines, charting ways in making science and technology serve the people.